BIDDEFORD, Maine -- Canadians are known as friendly folks, but these crabby brutes migrating from Canadian waters to coastal Maine are better suited for the hockey rink. At a distance of 1.5 metres, the pint-sized brutes, which measure 10 to 12 centimetres across, assumed a fighting posture. Those that grabbed him were in no hurry to let go. 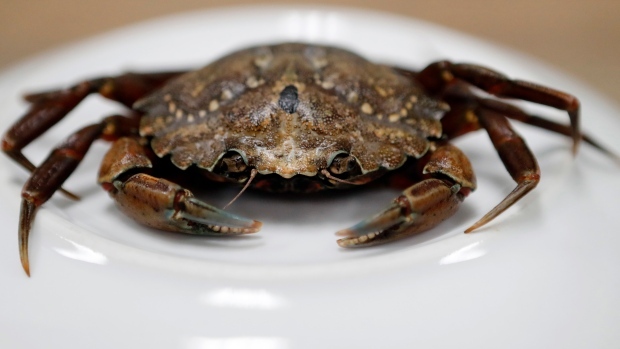 In the lab, researchers unleashed both types of crabs on a bed of eelgrass in a saltwater pool, and the difference was stark. The Canadian invaders shredded the eel grass like Edward Scissorhands in their efforts to scarf down marine organisms seeking refuge, Frederich said. Further studies will focus on whether a specific gene plays a role in the aggressiveness or if a factor called hybrid vigour is in play, he said. The hybrid vigour theory suggests that crabs could be more aggressive as they establish themselves, but will mellow out later.